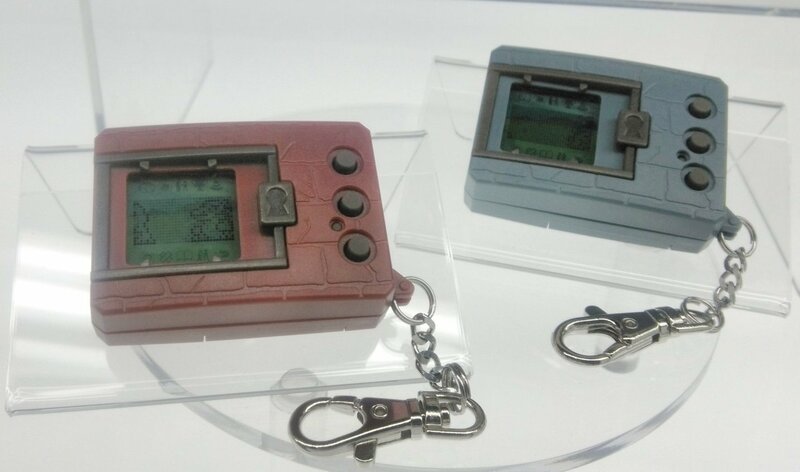 Original Digimon V-Pet Re-release Coming Soon? Thread: Original Digimon V-Pet Re-release Coming Soon? A surprise for V-Pet fans! Multitoys, an import toy/game shop in Indonesia has added listings for 4 new Digimon V-Pets, under the name 'Digimon Original'. The colors do seem to match up with what you'd expect for original V-Pet re-releases, and the price looks great at (converted to USD) a bit above $20. After the 20th V-Pets in 2017, the 20th Pendulums in 2018 (along with pre-orders for the new Digital Monster X), a re-release of the originals would a nice addition to the current run of V-Pets. We'll update when we have more information. Thanks to mbaheganteng for the news. Hmm, that's a tempting price point! Seems interesting, regardless of what they turn out to be. That would be interesting to see. Like releasing an old game on a new console. those guys just don't know what is pendulum vpet and what is not, since I'm from Indo, what I know is that they will release a "best price" digimon ver. 1, most likely taken from 20th anniv. And this "best price" version would mean that they're releasing it for Asian market. To be honest this is a little underwhelming, considering the 20th Ver. is quite better and greatly enhanced compared to the original one. It would be like re-sell the beta version of Next Order after the International Edition. anyway, it does seem kinda lame, but legacy product would sell well I imagine.